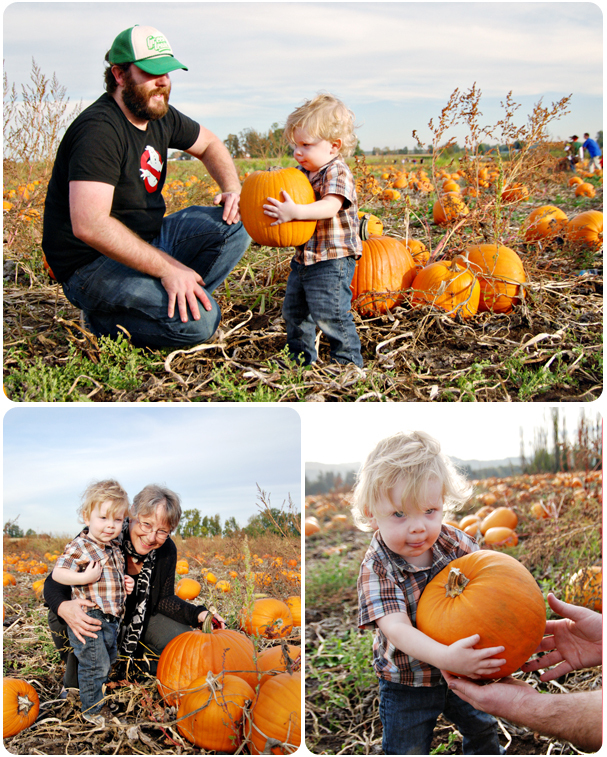 One of my favorite fall activities: visiting The Pumpkin Patch. Not just any pumpkin patch, but The Pumpkin Patch. 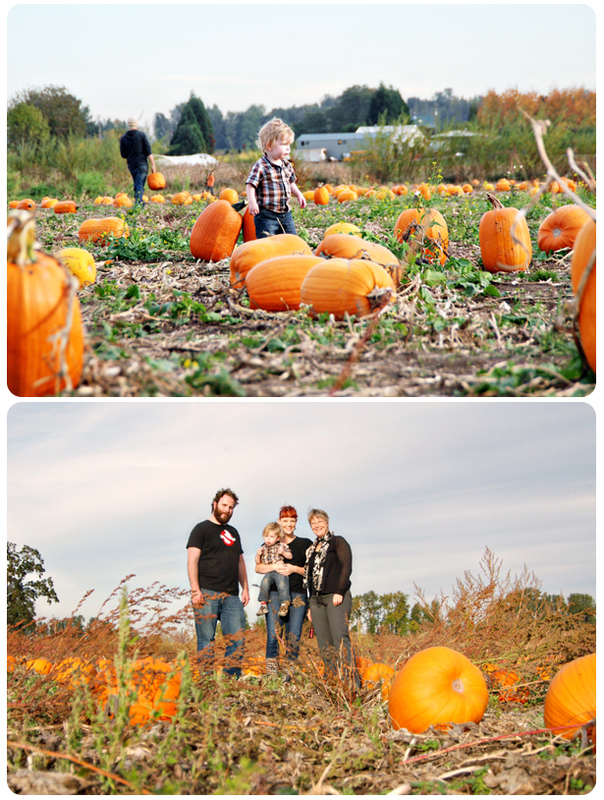 The Pumpkin Patch on Sauvie Island is where we go each year for our pumpkin needs. And this year my mom came with us! Last year Max was only 6 months old and didn’t care, but this year he was all about it. 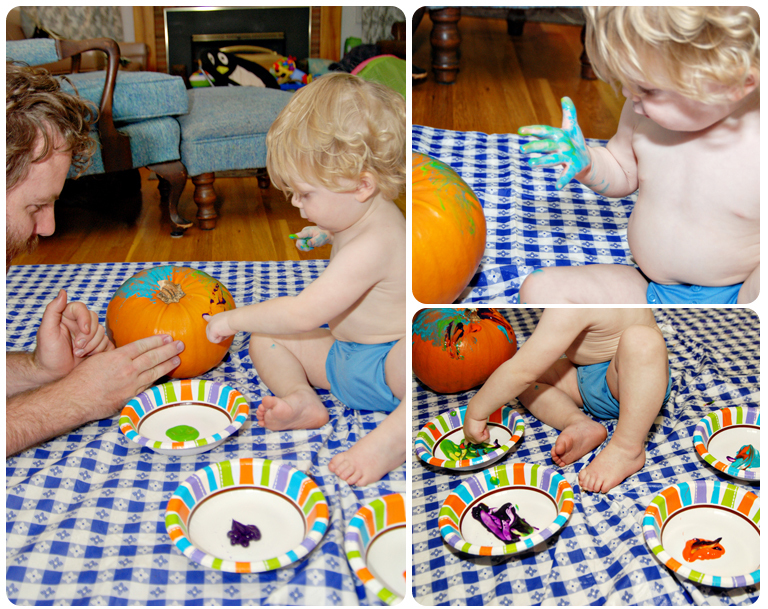 While he can’t say pumpkin he was “eh-ing” and pointing at them and picking them up cause he’s a toddler with super strength. It was all very precious. We came home with three pumpkins. A large, a small and a tiny one for Max’s tiny hands. 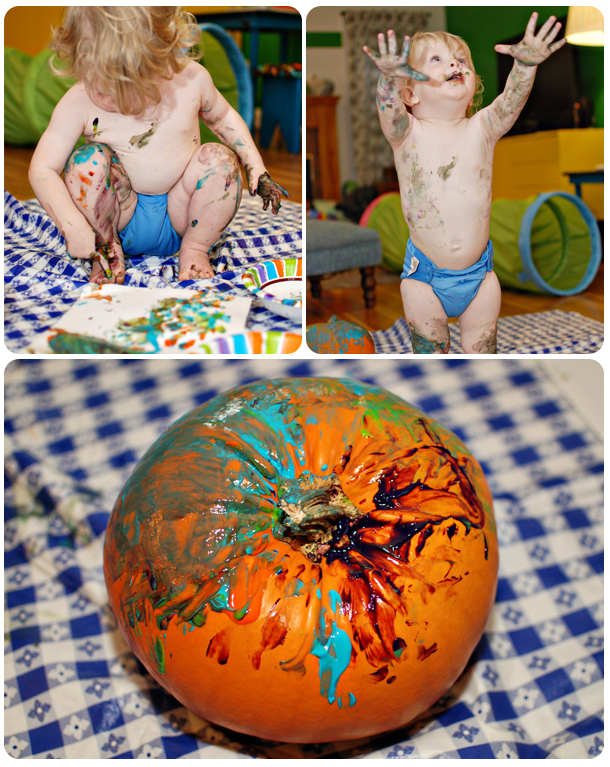 When I was a kid I remember painting pumpkins instead of carving them. So I thought Max could do the same. Side note: Please take notice of Max pulling his diaper liner out. All. The. Time. AND, check Rita out tasting the paint. 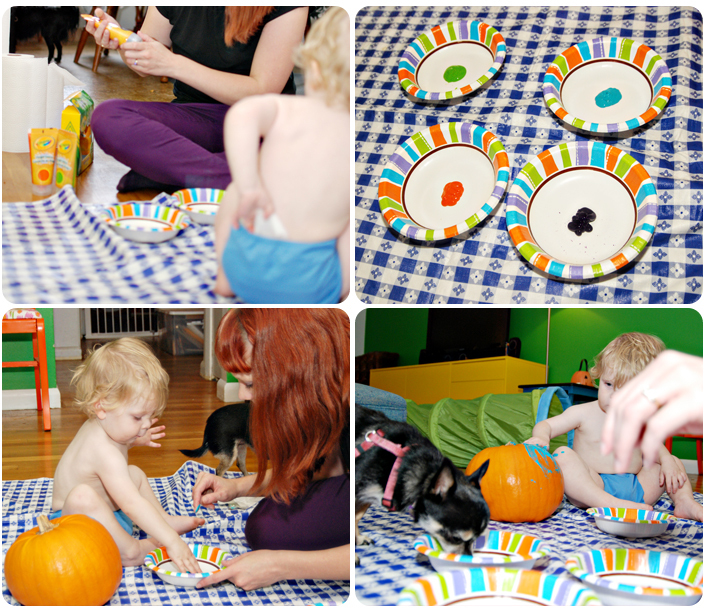 Max also tasted the paint, because why not? Painting is definitely going to be happening more often around here. « I got a job.